OK, so LJ has been bugging you to leave him alone and create your own previews. But you don't understand a bit of the helpfile. Would be a waste to let all that creative energy to waste, so here's a more detailed tutorial. First: Previews are not a simulation of the player or anything. They are simply formed by writing a file that says "put this picture here, and that one there, and make everything in pink transparent". This file is of course not in plain English, but in a special format with lots of <brackets> called XML. Every picture you see in the preview is called a slide, and each slide consists of a background and a number of images placed on top of it. All the slides together form the slideshow. You can also see them in the Poster view. We'll start by saving an existing preview file. Load your firmware in H3Mod and press F2 to open the preview. 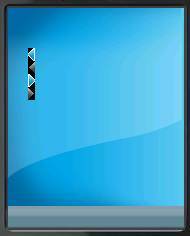 You see a picture of the player with several buttons, marked by black rectangles. Move your mouse over them, and you should see tooltips telling what each one does. 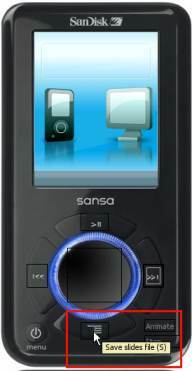 Here's the Sansa e200 as an example, the button positions change from player to player. Or, even easier, use the keyboard shortcut and press S. A file dialog opens, and you can save the file, with the ending .h3s. Open the file you saved in notepad (or any other unicode enabled editor, but notepad will do nicely). Warning: Notepad only can handle unicode since XP, I think. If you open the file and see nothing, or just one letter, or lots of b l a n k s between letters, you need another editor. You could try the free ConText, I use that myself. 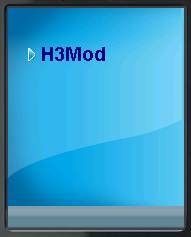 You don't need to worry about the unicode thing when you create a slide file from scratch, it's just the format H3Mod uses for saving them. It loads normal ASCII files, too. If you don't know what any of this means, just use notepad, create a fresh file there, and forget about it. Look at the file: a scary amount of keywords and numbers, but basically, a number of slide groups with elements in them. Close it again, and we'll start by a completely fresh slideshow. 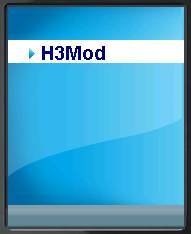 save it, go to the H3Mod preview window, and load it. And look at the glorious content! Er... well, it's not too impressive, but if you can load it, you managed the basic workflow, everything else is just adding more lines of text. 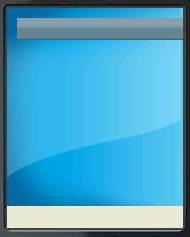 Occasionally, there is no background image, in that case you can specify a colour. That's not too great, either, but a good point to introduce the colour notation. You may need it later on. Keywords: some basic colours can be specified by their names, like "White", "Black", "Magenta". Red-Green-Blue notation, like "#4455FF". The # is just a marker, followed by two digits for the red, green, and blue parts that are mixed. so "#000000" is black, and "#FFFFFF" is white. The numbers are hexadecimal, so you use numbers and the letters A-F, where A=10, B=11 etc. So in the example we have some red (44) a little more green (55) and full blast blue (FF). The arrows are on a black background, but on the player, they are really just arrows over the background image. So we need to tell H3Mod that bits of the element can be transparent, and also which colour. Luckily all players work the same: they define one colour that is just not displayed, as if it was transparent. This is specified in the Slides element. In this case, it's black, represented in RGB notation. In the element, you add the flag for transparency. Don't bother with the type. "Simple" is enough for everything but the H300, and there the previews are already done. Attention: not all images on the player support transparency! in some of them, black may just be displayed as black, for example. The only way to find out is trying it. So far, so good, but there are actually four arrows in the bookmark, and we need only one, let's say, the blue one pointing right. To do that, you can cut vertical slices out of a bookmark image. You specify which line should be top, and how many pixels below that line are displayed. For the arrows we find that the whole picture is 7 x 52 pixels. Since it's 4 arrows, divide by 4, and we see that one arrow is 13 pixels high. We want the third one, therefore we need to skip the first 2 arrows, that is 2 x 13 = 26 pixels: the value for the start line. And since we only want to see one arrow, the height is limited to 13 pixels. You can also just add the values to the end of the line, they are only moved to the next line for display reasons here. <Element Name="Arrows" Left="20" Top="40" Transparency="Simple"
An important bit of the looks of a screen is text. 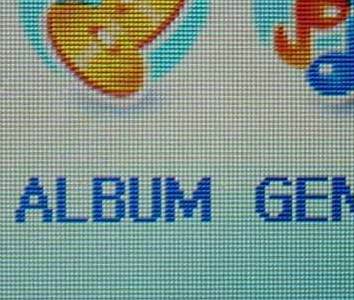 For some players, the fonts are decoded from the firmware, and can be displayed exactly as they are on the player. For others, you need to choose a system font that looks similar to what is on the player. Regardless, the text elements look almost like a graphics element. You just add the tag that it's text, fore- and background colour, and the name of the font. The Name attribute is the text that is displayed. For firmware with decoded firmware fonts, like the H300, just use the name of the font as displayed in the fonts list. For others, use the name of a Windows font, like they are displayed in, for example, the notepad font selection. Prefix it by * to mark it as a system font. You can also add attributes (bold,italic,underline or any combination thereof), seperated by commas. Let's add the name of the tool, in a font that is installed on every Windows system. The linebreaks again are only for cosmetic reasons. 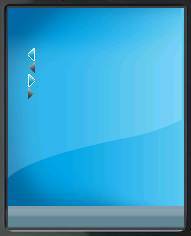 <Element Name="H3Mod" Left="30" Top="35" Transparency="Simple"
The worst thing for a preview is a prominent feature on the screen that is not a bookmark in the firmware. You can't display it in the slide, and everything looks completely different than the real thing. Or can you? H3Mod is a very, very primitive paint program, too. It can draw rectangles in different colours, that's all. But up to now, that was enough, selection bars and seperator lines (1-pixel rectangles) were all that's required. An example says more than lots of blabbering, and by now you are so familiar with the XML format that you can easily understand the parameters. Note that the element has to be drawn before the arrow and the text, or it would simply cover them. <Element Name="Rectangle" Left="0" Top="33" Type="Graphic"
A weird thing happens in some firmwares: an image is not stored as one image, but only the first line is present and it is repeated over and over again. 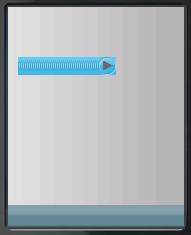 This happens for backgrounds and progress bars, for example. Presumably, this is done to save space in the firmware. Of course previews need to imitate that. It's very easy: place the first instance of the image like any other graphic, and then add the attribute Repeat with a number. This many repetitions of the image will be drawn to the right of the first one. Alternatively us RepeatVertical, and the repetition happens downwards, below the first image. As an example, here's a Sansa screen that may not exist in real life, but is made up from elements that do exist in the Sansa firmware. 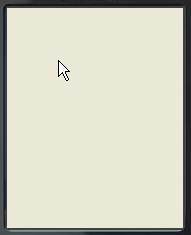 The background vertically repeats a mysterious line that happens to be exactly the width of the screen. And the button is really only there to prepare the next step. 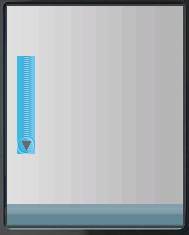 <Element Name="Horizontal Strip Grey" Left="0" Top="0"
<Element Name="Button Play Blue 1" Left="10" Top="50"
Imagine we want to use the button as a progress bar: a blue bar with the grey arrow on the right side. This is how some firmwares actually implement progress bars. To achieve that, we need to repeat the icon. Not next to the previous one, but overlapping it. You can define how many pixels the repetitions should be apart. Default is the full image width, as above, but let's set it to just 2 pixels for a cool slider element. The new attribute is called RepeatStep. For reasons that only the developers, and maybe the gods, know, images are stored in the firmware rotated, and not like they appear on the screen. Luckily, only in steps of 90 degrees... To fix that, H3Mod can also turn them for previews. The value of the Rotate attribute stands for 90 degree steps clockwise. Just for the heck of it, this can also be combined with repetitions, in case you want to change a scrollbar. Do we? Yes, we do! And for complete mayhem, we also change the overlapping scrollbar to be vertical. You are really building a bleeding edge preview here! Your player may have that cool screen saver animation, and you want to preview it. No problem, as long as the animation consists of a number of images of the same size. The animation only kicks in in the device preview, the one where you see one screen at a time in the context of the actual player. The poster simply displays it like a normal image, since it is supposed to be saved as a bitmap. You must add the Frames attribute, that is a list of the bookmark names that form the animation, seperated by pipes (that's the | sign). Optionally, you can specify the delay between frames in ms, the default if not specified is 100. 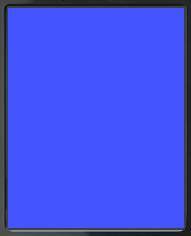 There is no image here, since I don't want to create an animated gif; you can see real life example if you load Sansa, S10 or T10 firmware. The example animates 4 images, pausing 800 ms between frames. The poster preview shows the 3rd image of that animation. No transparency, but it could easily be added, just like described for images above. 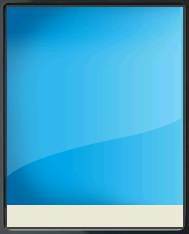 <Element Name="New Battery 3" Left="30" Top="106" Type="Animation"
Frames="New Battery 1|New Battery 2|New Battery 3|New Battery 4"
And that's it. These are the elements that allow you to simulate the player's screens, as long as the images were found. Not that difficult, is it? The ultimate goal is a preview that is 100% accurate, every image at the exact same position as on the player. That is not easy, but very helpful for designers. They can do all kinds of tricks with icons and backgrounds and be confident that their player will look like the preview, and not 3 pixels off. Use this grid pattern and create backgrounds from it. Every background should look like it, add a name to distinguish different backgrounds. Every image should be rectangular. So, if there is any transparency, replace that colour by something else, preferably a colour that stands out against the grid. Imagine this is the actual screen of your player. With a keen eye and some patience you can count that the image has to be positioned at Top=56, Left=71. And you know that Background one is used here. Use this data to create a slide and compare the preview to the real screen. Repeat until everything is perfect. If possible, get a digital camera and take pictures of the screen in macro mode, or as close as possible. With a decent resolution, it is much easier to count pixels than on the real screen. See this example I made when making H300 slides.